When my husband and I married over 10 years ago, we had a big antenna outside and a half dozen channels on our 15+ year old television set. We made do but within a few years, all the talk about needing a converter box or new tv was the big news. By that time, our daughter was a couple years old and it was to the point that when we watched a television show, one of us would need to have the remote in our hand to change the channel quickly when scary commercials came on. When our final channel quit working, we decided to go without “tv” and only have the option of watching DVD’s and VCR tapes. Within a couple years, our VCR player conked out so we were down to just DVDs as our viewing option. My husband and I would sit around talking about wholesome family shows that we both grew up watching and wished were still around for us to watch as a family. Then, I came across Mill Creek Entertainment and discovered that we could still share those experiences with our family. Mill Creek Entertainment sent me samples to facilitate this review. 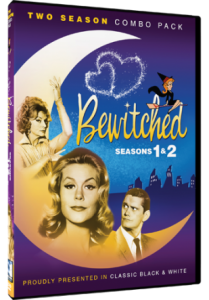 We received Bewitched Seasons 1 & 2 on DVD. This combo pack brings back so many memories. Bewitched was a favorite of mine growing up. My sister and I would love to watch it together and I would pretend that I could wiggle my nose and move things just like Samantha. Watching this together with my husband and our children was so neat. Our kids were in fits of giggles over and over from the light family friendly comedy that Bewitched was known for. I like having the complete seasons because I did not remember ever seeing the very first episode before and it was interesting to see how Bewitched started. Packed with 31 hours of Bewitched fun, Mill Creek Entertainment offers this DVD set for $14.99. 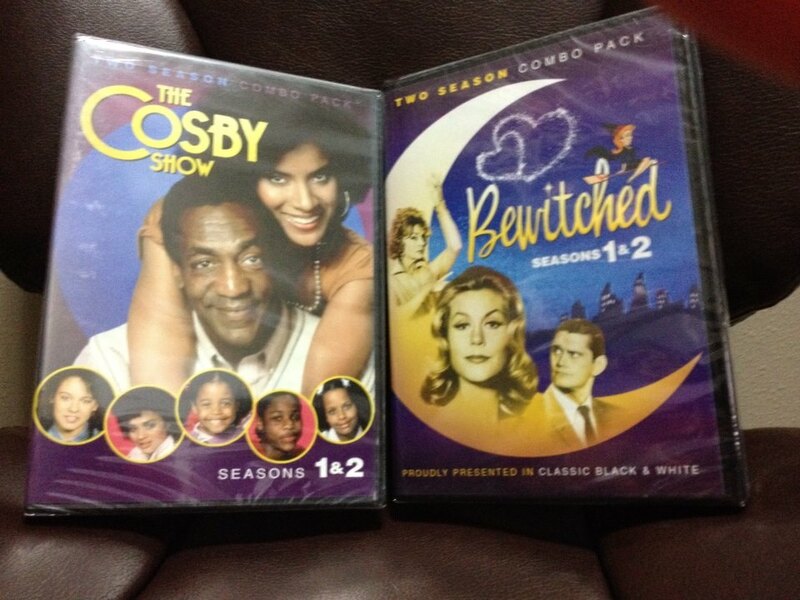 The second series we received was The Cosby Show Seasons 1 & 2. 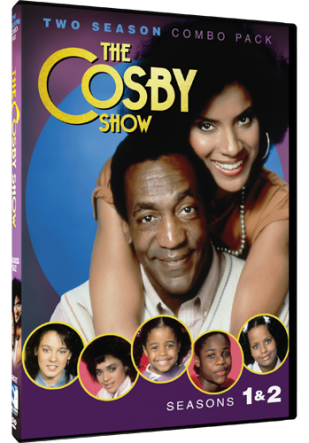 Dr. Cliff Huxtable and his wife Clair bring wholesome fun to the screen with their charming wit, Huxtable comedy, and family situations. The Cosby Show is every bit the hit show I remember it to be. Wholesome values, easy laughs, and our children now get to enjoy the Huxtable’s too. This DVD Set contains 19 hours and 59 minutes of family style fun. At a $14.98 price point, this package is worth every penny to us. I have been really happy with the customer service, quick shipping, and quality of these products from Mill Creek entertainment. If you are looking to bring a bit of the past into your present, be sure to check out all the shows they offer. Buy It: Head over to Mill Creek Entertainment to see for yourself the great selection of products they offer. 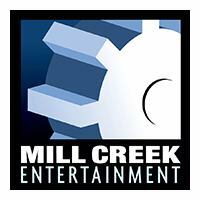 Connect: Don’t forget to like Mill Creek Entertainment on Facebook, follow them on Twitter and Pinterest, and subscribe to their YouTube Channel for all the latest news and promotions. Win It: Mill Creek Entertainment is generously offering one of our lucky readers their very own DVD copies of Bewitched and The Cosby Show. The giveaway is open to US only and will end February 19th, 2014. For your chance to win, enter the Giveaway Tools below. Good luck! Miranda Welle i’m letting you know I’m claiming my prize of the Bewitched and Cosby show dvds.Daniel Peterson 9537s.mcvicker oaklawn Il.60453 .708-548-5053. Thank you Daniel. I will forward your information to the sponsor.